This archive holds all posts form May 19, 2009. Today is Malcolm X’s birthday and he would have been 84 years old had he lived (h/t @james3neal via Twitter, image from here ). The lack of national attention accorded to Malcolm Shabazz is a rather shocking given his historical significance, though I suppose not that surprising given the white racial frame which predominates the agenda-setting in the U.S.
Malcolm’s significance has grown since his assassination in 1965, and today his “by any means necessary” stance has in many ways eclipsed the philosophy of non-violence of Martin Luther King, Jr. as the touchstone figure for black culture and political life. Yet, it would be a mistake to place too much emphasis on the distance between Malcolm and Martin. For a thorough analysis of the intricacies of that relationship, see James Cone’s book, Martin & Malcolm & America. Both Martin and Malcolm were far more radical and had far more in common, especially toward the end of their lives, that most people realize. 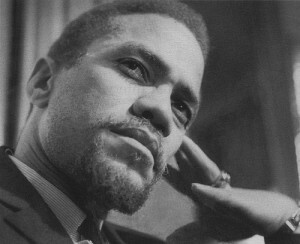 Both Malcolm and Martin were highly critical of the U.S. military involvement in Vietnam. And, where Martin was organizing sanitation workers recognizing the importance of class oppression to the struggle for racial equality, Malcolm emphasized the parallels between the African-American struggle for equality and the Asian, Latino, and African campaigns against European colonialism. This short excerpt speaks I think to the reality of life for so many young, black and brown men in today’s United States. For those that know the rest of the story, of course, Malcolm Little became Malcolm X in prison where he was radicalized through reading. He converted to Islam and after his pilgrimage to Mecca came back as El-Hajj Malik El-Shabazz. The excerpt above comes from “The Malcolm X Project” at Columbia University, which is a rich, online, treasure trove of information about Malcolm. The Project includes an extensive multimedia collection with archival audio and video of Malcolm and scholarly experts. On this, Malcolm’s birthday, go explore this amazing resource and share it with someone else!